Why do some consumers struggle under the weight of credit card debt while others are able to pay it down to manageable levels? A new survey from CompareCards suggests the adoption of certain money habits may hold the key. In particular, it found three habits have the best chance of turning around a debt burden. Thomas Donaldson, Senior Credit Specialist at CompareCards, says devising a plan to pay off the debt -- whether setting aside an extra monthly amount to contribute to paying it off, or using a more complex budgetary plan – made the biggest difference among those who were successful and unsuccessful in meeting their goal to pay down debt. "Seventy-five percent of people who created a specific plan to pay off their debt last year succeeded, while just 51% of those who didn’t succeeded," Donaldson told ConsumerAffairs. "A plan holds you accountable – to yourself, and ideally, to those around you." 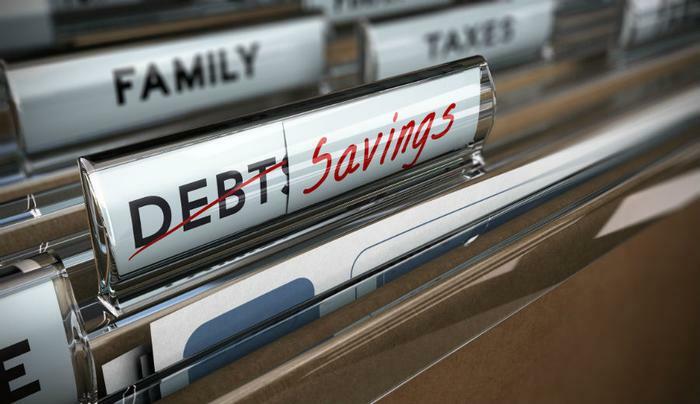 The survey also found that consumers who were able to exercise budget discipline and reduce their monthly spending had more success in getting out of debt. Many people who can't stop spending actually run up more debt. Spending less also provides a little extra money for credit card payments. Finally, consumers who successfully reduced their debt also created a savings account -- specifically, an emergency fund. Having extra cash on hand for emergency expenses means not having to cover an unexpected expense with credit. Credit counselors and financial advisors are often helpful in reducing debt, but Donaldson says the consumers in the survey mostly figured it out on their own. "Just 10 percent of people who were successful paying off their debt cited talking about their plan to pay down debt with someone," he said. "The habits of the successful involve taking initiative – reducing spending, finding a way to earn extra income, and keeping track of progress." Those who succeeded in paying down debt tended to improve their financial condition last year. But Donaldson says more than one third of those who said they were unsuccessful at paying off debt last year said it was a repeat failure for them. "Despite that experience, just 55 percent of them created a specific plan to help them pay down that debt last year," he said. Consumers in the survey who reported progress in paying off debt offered a number of reasons for their success. One said it required changing his mindset and treating any spending that required credit as "a giant stop sign." Another said the process can be lengthy, so it's important for people to stay motivated to reach their goal.